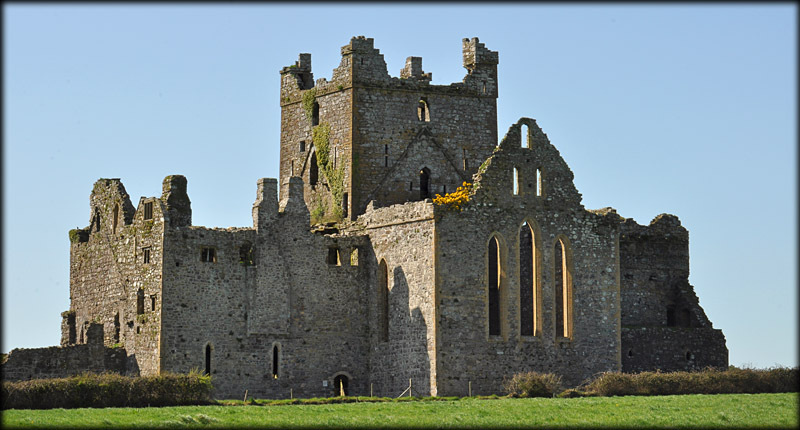 Dunbrody Abbey was founded in 1170 by Herve de Montmorency on the instructions of his nephew Strongbow. 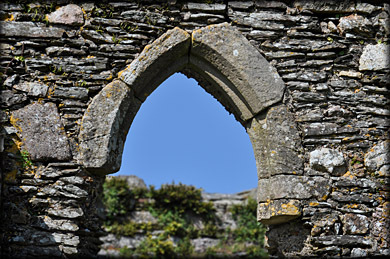 De Montmorency granted the lands to the Cistercian monks of Buildwas in Shropshire, England. 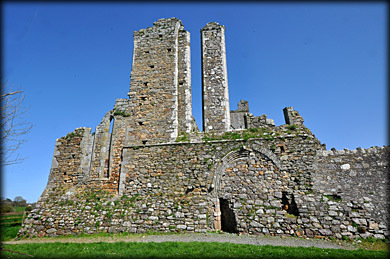 Buildwas failed to take up the grant and in 1182 it was transferred to St Mary's Abbey in Dublin. 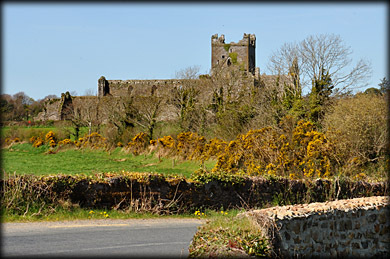 The new abbey, known as the Port of St. Mary, was consecrated in 1201 by Herlwyn, the bishop of Leighlin and a nephew of Herve. The abbey flourished for several centuries until the 14th century when the monks became quite violent and rebellious and were often at loggerheads with the monks at nearby Tintern Abbey. After the suppression of the monasteries in 1536 the abbey was granted to Sir Osbourne Etchingham in 1545. In 1642 Jane Etchingham married into the Chichester family. The Chichester family own the lands to the present day. The handed over the abbey to the Office of Public Works in 1911. 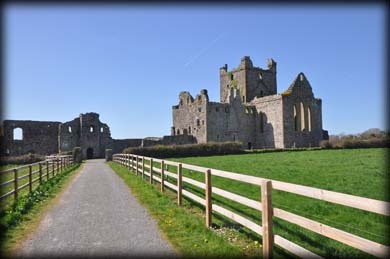 The interior of the abbey is only open during the summer months but you can wander around the exterior all year round. 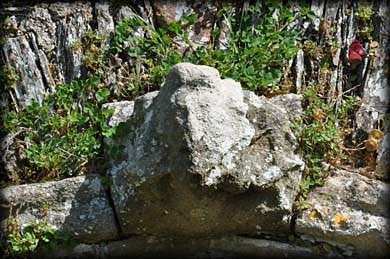 The extensive ruins consists of a large cruciform church. There are three chapels in each of the transepts. The present entrance is through one of the chapels in the south transept. The Cloister area is visible but there are no remains of the arcade. A fortified tower was added above the crossing in the 15th century. I intend to return to Dunbrody during the summer to photograph the interior and also Dunbrody Castle which now houses the visitor centre for the Abbey. Situated: From New Ross head south on the R733. After 6 kilometres turn right at Slaught to remain on the R733. Then 7 kilometres turn right staying on R733. The abbey is 2 kilometres down this road on your right. Discovery Map 76: S 7102 1516. Last visit April 2015.